There are a number of reasons to have your deck professionally stained. The first and most important reason is to maintain the overall quality of the deck surface. Decks get a lot of traffic and are constantly exposed to the elements, and they need a touch up every few years. Another reason is that before you may stain a deck, it must be cleaned to ensure that the stain absorbs properly. A professional staining crew will do the cleaning for you. 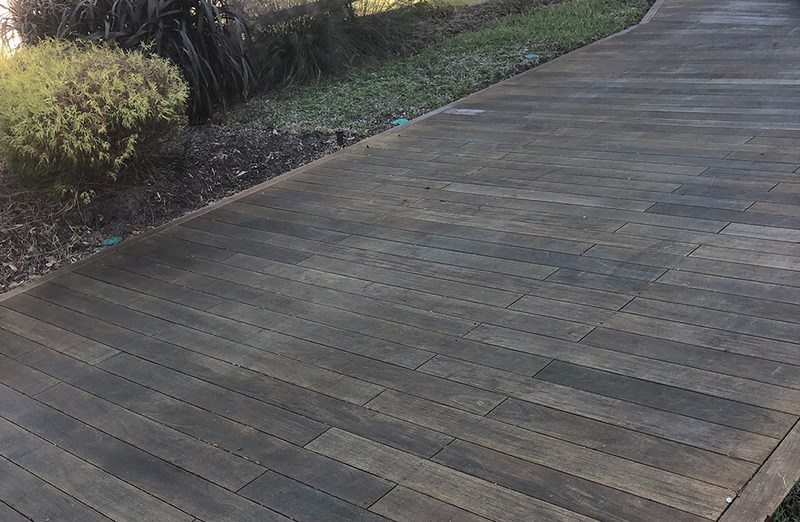 When we stain your deck, we are adding years to its life and improving the curb appeal of your home. This maintenance also results in savings by reducing the potential need for repairs to the deck surface. Power washing utilizes a water sprayer to remove tough stains from outdoor surfaces. We don’t use high pressure unless it’s absolutely necessary. 90% of the time we use the pressure washer to wash the house using an environment friendly house wash chemical. Got mold, mildew, or mud? How about grease, gum, or other grimy stains? 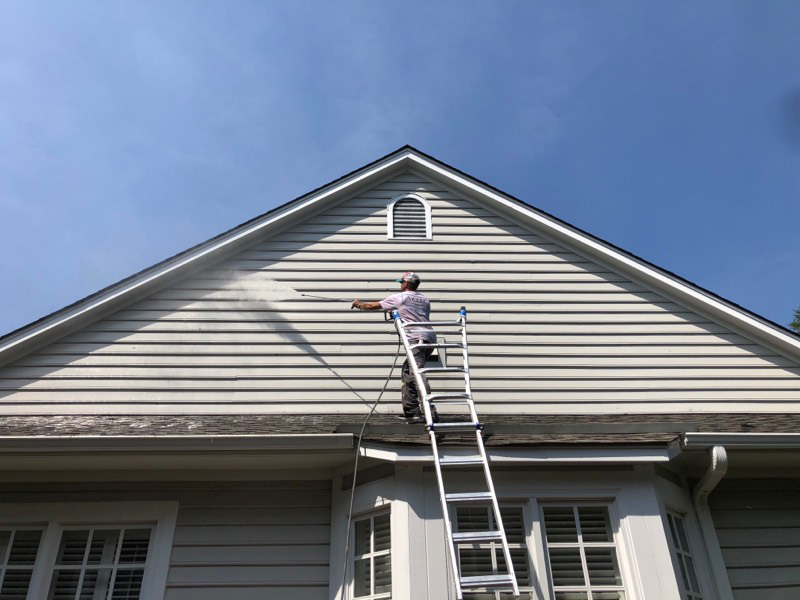 Power washing can quickly remove these annoyances to get your home looking bright and fresh again. Most importantly, it is a completely safe method of cleaning for your home. Over time, drywall can sag or crack and sometimes collisions from moving furniture or kids chasing the dog around can lead to dents and holes. When life happens, call Aztec Painting, Inc. to repair these spots. 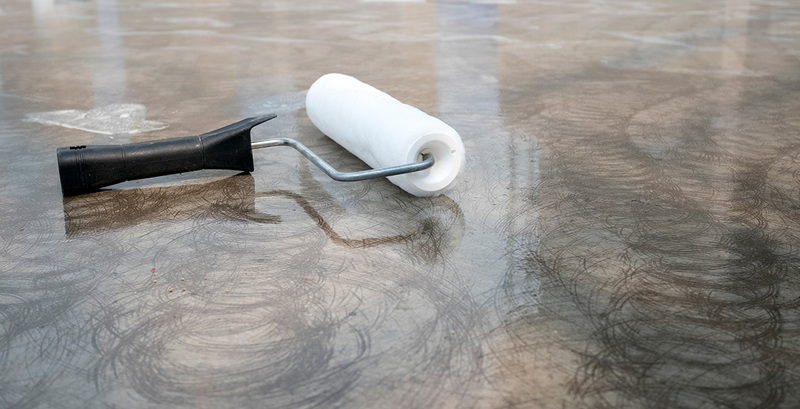 We are always careful to cut and sand just the right amount to leave you with a clean surface and no evidence of recent repair. Save money on your kitchen remodel by refacing your cabinets instead of replacing them. Most older cabinetry is well built, so preserving it is usually worthwhile. They may be worn, discolored, or dull. We can provide you with high-end designer results you want at the price you’ll love. We replace rotten wood, caulk cracks, and fasten loose boards before house painting projects. No more cracks, peeling paint, or rotting wood to worry about. problems and get the job done in a timely manner.